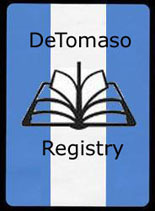 This is the home for all things De Tomaso, including the DeTomaso Registry! A first-time visitor will need to Join/Register using their e-mail address. An e-mail will be sent to this address instantly. 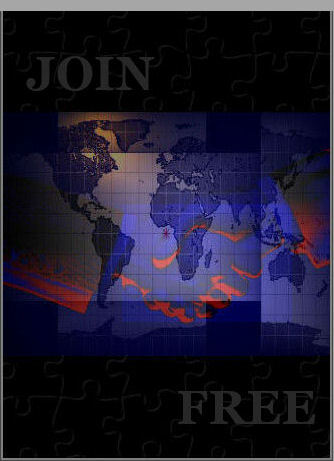 Clink on the link in the e-mail which will take you to the Login screen. The De Tomaso Registry contains data for more than 5,203 automobiles produced, including the Vallelunga, Mangusta, Pantera, Pantera L, Pantera GTS, Pantera Group 3, Pantera Group 4, Pantera GT4, Pantera GT5, Pantera GT5-S, Pantera SI, Longchamp, Deauville, Guara, Formula 1, Formula Junior, Sport racers and prototypes. This is an all volunteer effort. Note:> The purpose of this website is to host the De Tomaso Registry, and to reward contributors to the Registry with special content not available anywhere else. To protect the privacy of owners a number of security features have been implemented. 1) The Basic level does not require you to log in. Material that is accessible includes the Parts for Sale section and more. 2) The Member level begins after successful Login. It contains the DeTomaso For Sale section, the DeTomaso Event Calendar, Non-DeTomaso Car Events some Technical Information and more. 3) The Share level is for those that have shared a car with the DeTomaso Registry, and now have access to the Registry, additional Technical Information, the Repair and Maintenance Manuals, Real-Time Video broadcasts of events, and much more. Anyone can make a financial donation to help fund this site via Paypal, personal check or other means. Even small donations are accepted gratefully! For security reasons when your visit is complete, it is strongly advised that you Logout. This Logout button appears on all pages for your convenience. 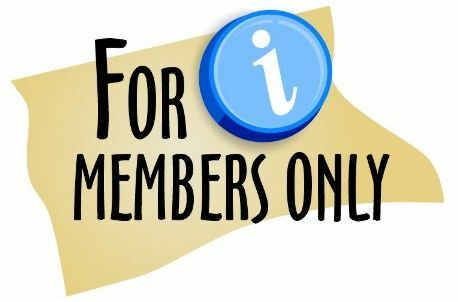 This site is being re-hosted to better serve the needs of the Members. This new domain is not associated with Yahoo/Geocities, so there will be no more side bar advertising unrelated to our topic, and no more Yahoo pop-ups. You should now designate in your browser that pop-up windows are allowed. When you request 'side-bar' content, such as a larger image in an article, it will appear in a new window (pop-up). If you continue to block pop-ups you will not see this additional content. Visit the Frequently Asked Questions (FAQs) page for more information.